Prior and during WW2, Soviet doctrine placed high emphasis on armoured vehicle “desants” as a way of transporting infantry troops into battle whilst keeping them close to tanks. However, as this method was recognized as not being optimal, development on a universal APC design, that would bring troops quickly and safely into the combat zone along with the heavier tanks, began even before the outbreak of WW2 and lasted throughout the conflict. 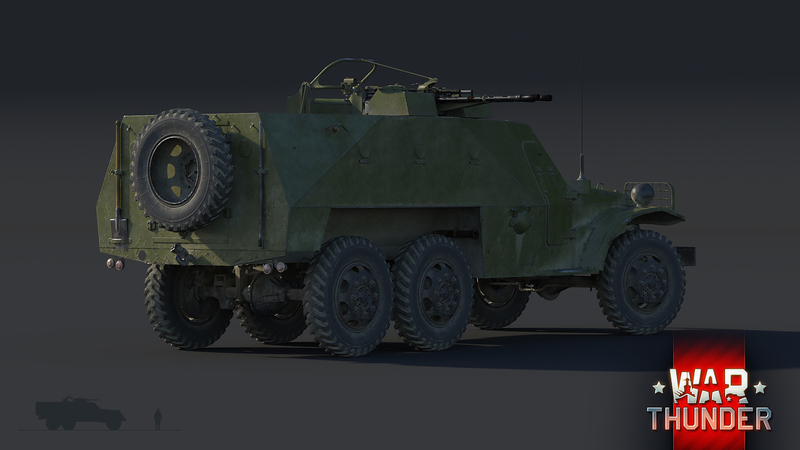 The project’s development was strongly influenced by the experiences gained through the usage of similar vehicles obtained through the lend-lease program, such as the M3 halftrack. 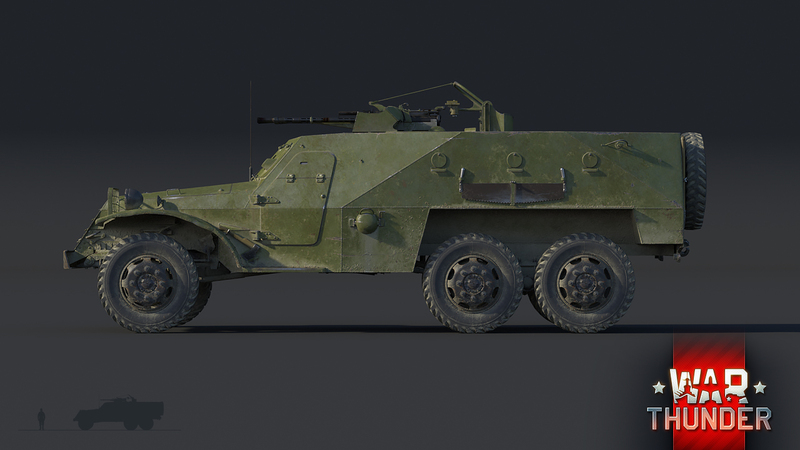 Further evaluation of combat performance of the US M3 and German Sdkfz 251 halftracks in the later stages of the war, finally crystallized the Soviet vision of their APC design. Several years after the war, in 1949, after having extensively modified their already mass-produced ZiS-151 truck, the ZiS factory presented the Red Army with an APC design that would shortly after be accepted into production as the BTR-152A, thus making it the first mass-produced Soviet APC. With the current demand for a reliable APC stilled, a new problem came up. Soviet motorized infantry units had an acute shortage of mobile SPAA units that could provide cover against low flying aircraft. Once again, the ZiS company provided a solution to that problem too by mounting a ZTPU-2 anti-aircraft turret in the cargo space of their BTR-152A APC. The turret was equipped with two 14.5 mm heavy machine guns, operated by one crew member. This modification allowed the BTR-152A to effectively engage attacking aircraft that were flying under 1,000 metres altitude and under 600 km/h speed. This modification, just like the APC itself, was considered a success and was put into production in 1952. The production run lasted 3 years with over 700 units being produced. The BTR-152A found use with many nations across the world throughout the course of the Cold War, even on the Asian and African continents. 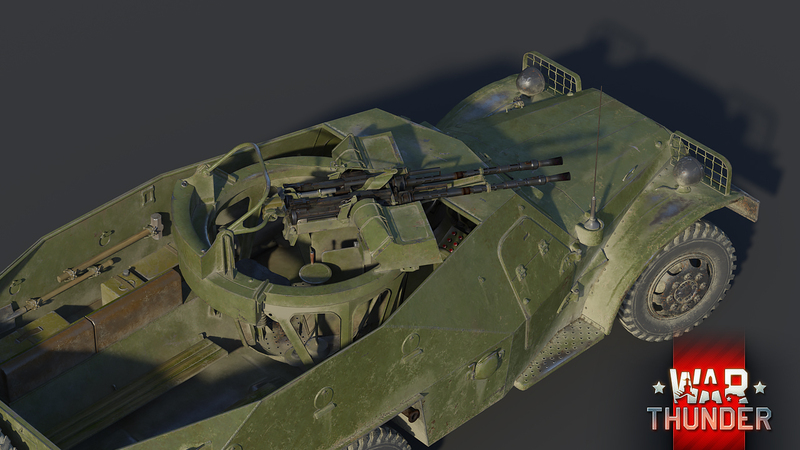 In War Thunder, the anti-aircraft version of the BTR-152A will strive to fulfill its historical role within the game as well, by providing Soviet ground forces with a fast and reliable mobile anti-aircraft platform. 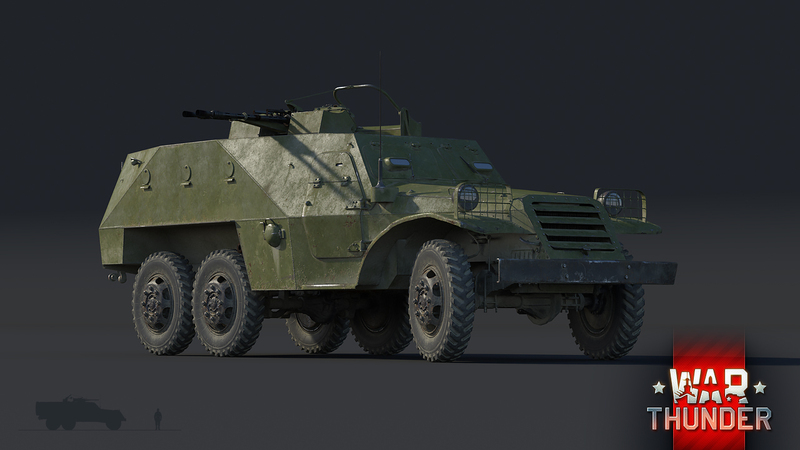 Needless to say, for being a wheeled vehicle, mobility was put in the forefront during the development of the BTR-152A, thus it should come to no surprise that it will rank among the fastest vehicles in War Thunder, with a blazing speed of 83 km/h (51 mph) on roads. However, if the combat environment doesn’t necessarily provide you with a well-built road, don’t worry. The BTR-152A, thanks to its all-wheel drive and 110 horsepower engine, can also traverse more unfriendly terrain types with relative ease if no better options are available. However, it’s recommended only to go off-road if the situation on the battlefield requires you to do so, as in most other cases, such a direct route will only slow you down, whereas picking the longer route via road will often save you some time. Nonetheless, once you reach your designation, you may sweep the skies clean with the twin high-calibre 14.5 mm heavy machine guns, mounted on a fully rotatable turret on top of the cargo bay. The guns sport excellent ballistic properties which, when paired with the good rate of fire of the two KPVT machine guns, make for a very powerful setup of weapons that any passionate AA gunner is sure to appreciate. 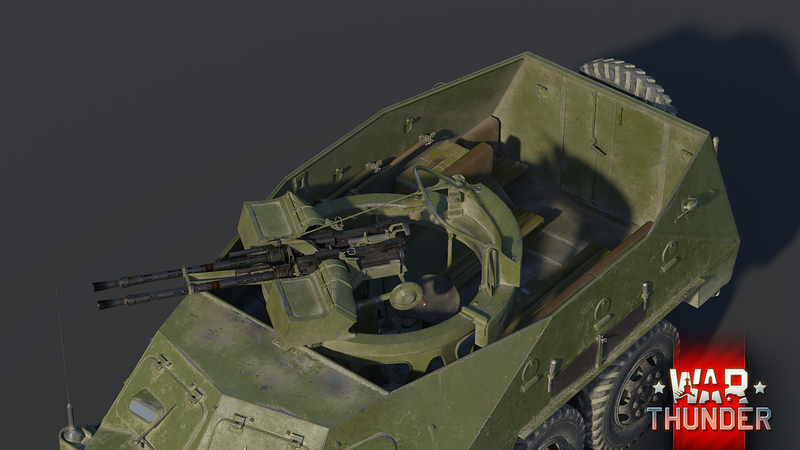 As with any lightly armoured vehicle within the game, armour on the BTR-152A also only exists on paper, so to speak. The best armour plating, which is only 13mm thick, only effectively protects your five crew members from rifle-caliber fire. This means that future drivers of the BTR-152A shouldn’t seek protection in the armour of their vehicle, but instead in the mobility it provides them with. Moving under fire and relocating after being spotted is a must if you don’t wish to fall prey to much more powerful machines on the battlefield. Besides this, it’s also worth noting that the BTR-152A has no protection against strafing enemy aircraft, making uncareful drives quickly fall from the position of hunter to the one being hunted. To avoid this, simply make sure to relocate your vehicle frequently after firing and/or scoring kills. 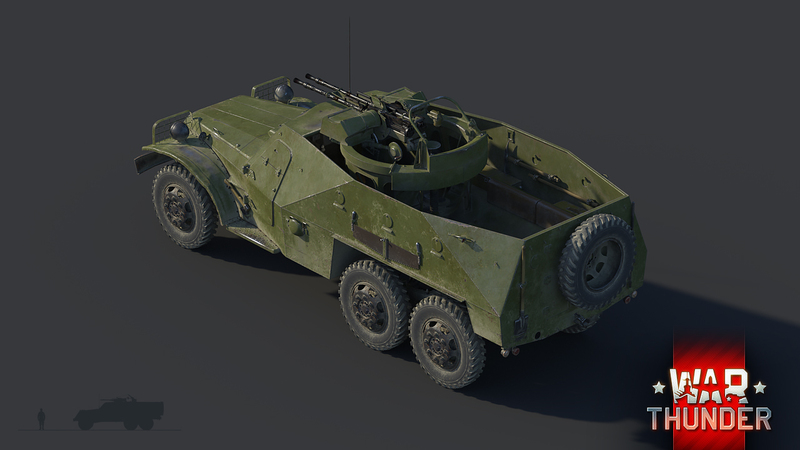 High command is announcing the deployment of the new BTR-152A SPAA to the ranks of the Soviet ground forces research tree with War Thunder’s 1.71 update, coming soon! See you there! You mean an actual SPAA instead of a tank destroyer? Rubentje7777, i meant what i said! Is Gaijin Going To Make Post War Pilots / Tank Crew To Fit These Tanks? Or Are We Gonna Have Boris The WWII Hero In A Post War Vehicle? We already have different pilots for Jet aircraft. Nothing can change veteran Boris KKomrade! Any word on what BR this will (roughly) be at? It has a saw on the side, it´ll saw i saw that coming.